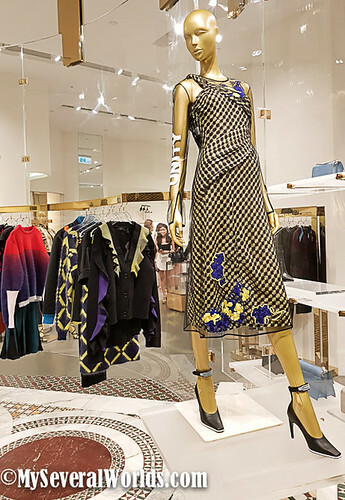 A few weeks ago, my friend Shahad at VA VA VOOM Taipei invited me to go to a blogging fashion party at Versace at Taipei 101 on September 8th, 2017. 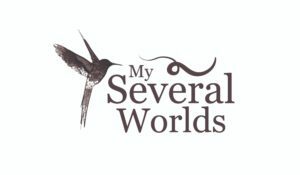 As some of you may already know, I have been sick for a while and I haven’t been able to do the kind of travel blogging I used to do in quite some time, but I have been finding other ways to see and explore within my limits. Attending a Versace show is definitely within my limits and I was more than happy to accept her invite. Here I am, thinking about what I can’t afford while on my way to the show. 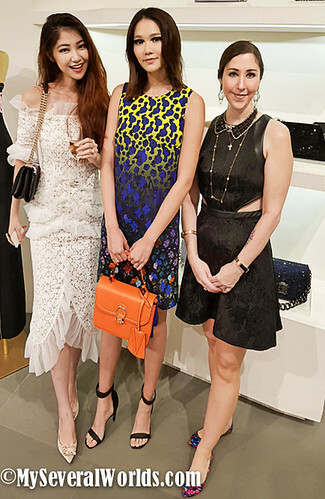 The invitation Shahad sent to me was about a fashion blogger named Enya, but her presence, if she was there, was never announced, although I did see an awful lot of exceptionally well dressed women at this event, so I’m going to make a guess as to who this ‘Enya Fashion Queen is’. She was easily the most fashionable shopper there that day. I’ve never been to an haute couture fashion event before. 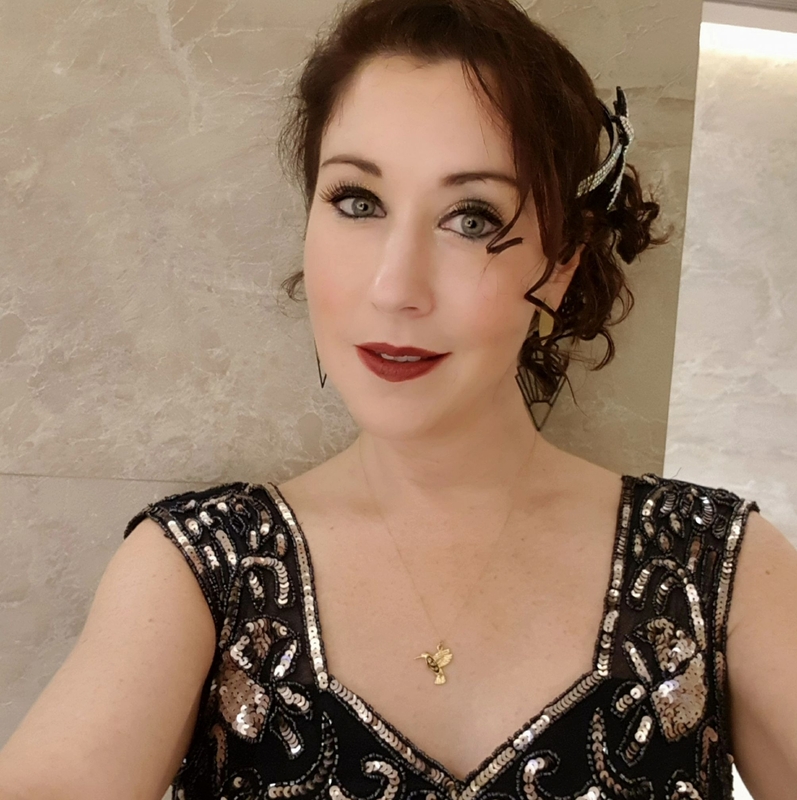 Even better, I was able to bring my best friend and stylist to the stars in Taipei, Jenna Robinette. I’ve been friends with Jenna for over a decade and I was so happy I could spend this afternoon with her and Shahad, since we are all fashion lovers. 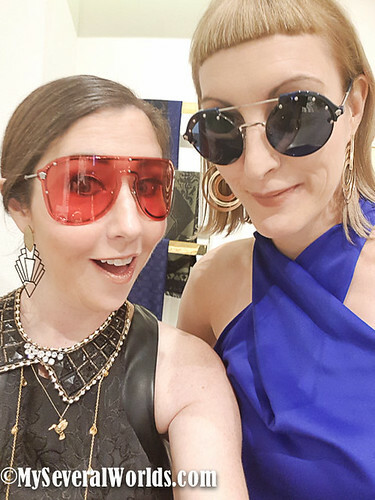 Of course, the first thing Jenna and I did was sneak on a pair of Versace sunglasses, but we found out afterwards we didn’t have to be sneaky about trying anything or taking photos. They were happy to accommodate us. 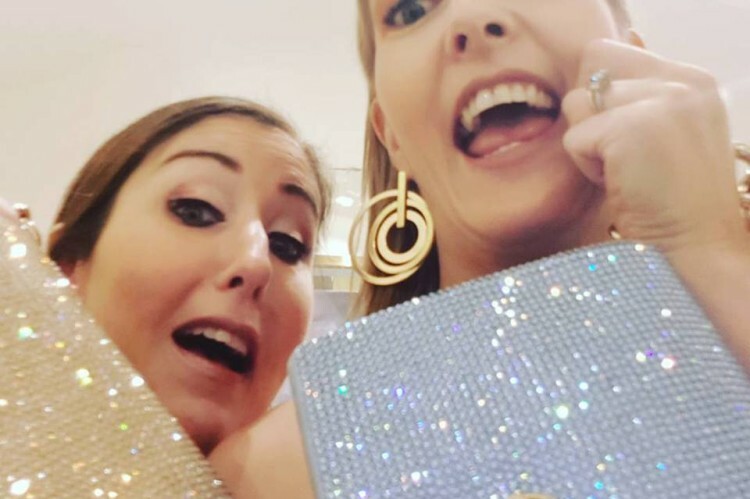 We nearly whooped with delight when we found out we could pose with all the gorgeous handbags and accessories. Getting ready for this event was my biggest task. 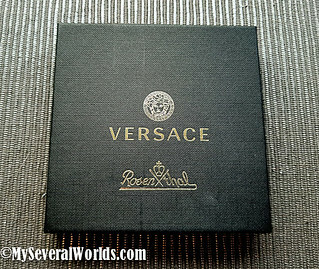 The only thing I own by Versace is perfume. How does one attend an haute couture event with no haute couture clothing in her closet? I thought about it for a week. I scoured fashion magazines and looked up Versace’s 2017 runway looks for make up and clothing inspiration, and then ripped my closet apart to find something black so I could amp my own look up with high wattage cosmetics and accessories. I also had to do this in flats. No women in their right mind would go to a Versace show without heels, but I made it work. After all, heels are no longer a part of my life. With Shahad and Versace’s lovely and versatile model. Below, you can see my favorite dress at the show. Imagine my surprise to see Miley Cyrus modeling it earlier this year in Bazaar Magazine. 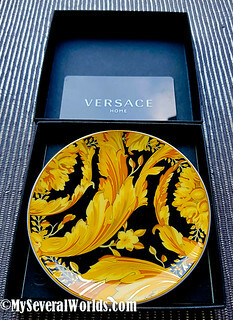 Versace is a fashion house that screams glam female power with every design. In 2017, Dontella Versace did not disappoint. Her designs feature messages to the person wearing her clothing and to the world – and it is spelled out for the world to see in bold, clear capital letters on everything from t-shirts to dresses and accessories: UNITY. COURAGE. LOYALTY. LOVE. 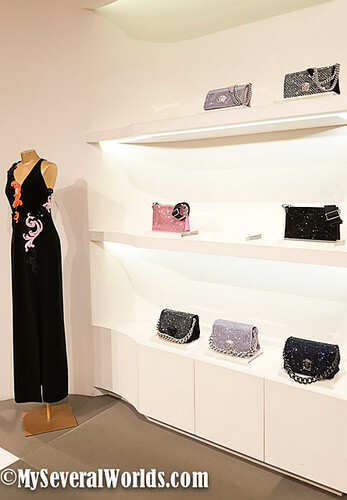 It was apparent to me from the minute I walked in the front door at Versace 101 that Ms. Donatella Versace is standing up against the setback to women’s rights we’ve seen in past years. This show was no exception. The models were dressed in utter perfection with punk cat-eye makeup and color blocks of eyeshadow. 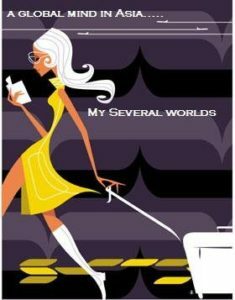 Peeking out from under the hem of her little black dress was a sheer black slip with EQUALITY embroidered on it. She was stunning. This event was exceptional. 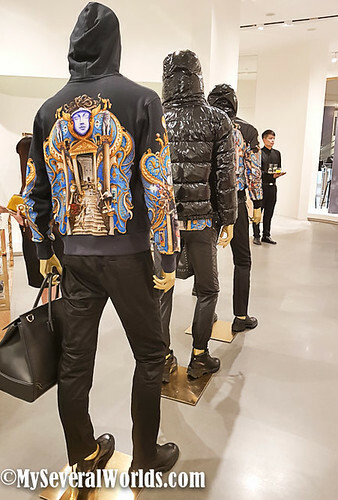 You would expect that an event at Versace might be pretentious, but this was such a nice, fun crowd to spend time with, I didn’t find anything snobby about it at all. It was a lovely event with incredibly kind people, great food, and of course, sparkling champagne. Last but not least, as we departed, we were handed a gift bag. 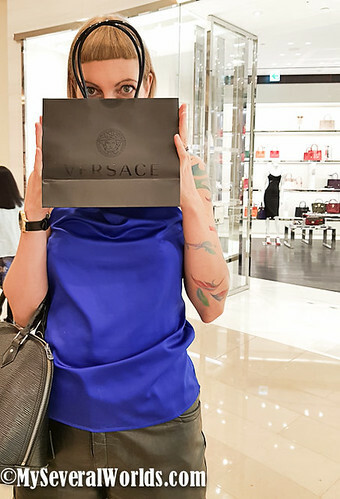 We were both blown away by the gift we received from Versace 101 that day. Stunning, isn’t it? 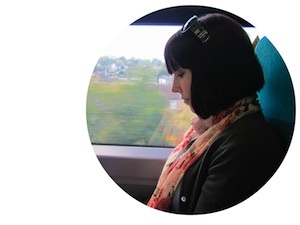 Hi Carrie, just came across your blog, and loving it! 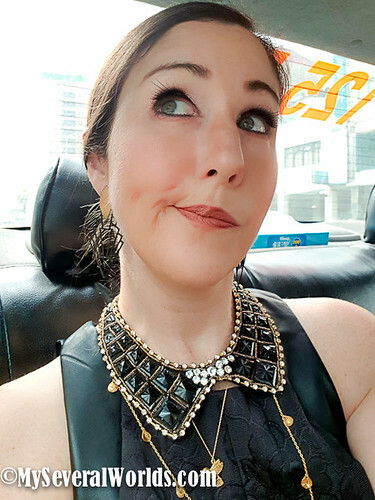 I am from Taiwan originally and my fiance and I actually thinking about moving to Taiwan for a bit, and I just forwarded her your site since she’s interested in teaching English. Glad you made Taiwan your home.